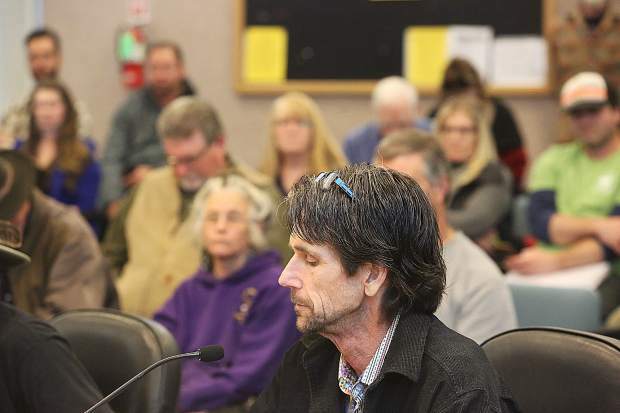 A new cannabis ordinance for Nevada County could take until March before the Board of Supervisors votes on it, the county’s planning director said Monday. Superiors at their regular meeting today will consider hiring Kimley-Horn and Associates Inc. — a North Carolina-based consultant recommended by a county panel — to complete an environmental impact report county officials say is necessary for the new ordinance. If approved, an initial meeting between local officials and the consultant could happen within a week, said Brian Foss, the county’s Planning Department director. The work will cost $255,985. The money will come from the county’s general fund. The purpose of the scoping meeting is to gain input from the public. Another public meeting will occur once the draft ordinance is released, possibly late this year, he added. It will take a few more weeks to finalize the environmental report before it reaches the county’s Planning Commission and then supervisors for approval. Supervisors could vote on the report and ordinance at the same meeting. Supervisor Ed Scofield, chairman of the board, said the county has moved as quickly as possible on the new ordinance. 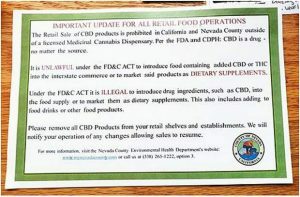 In fact, recently it implemented a temporary medicinal commercial permitting process after realizing the environmental report would take months to complete. That temporary program gives qualifying growers a chance to enter a legal marketplace now instead of waiting for a permanent ordinance. “What we hadn’t anticipated is we need the EIR,” Scofield said of the report. Diana Gamzon, executive director of the Nevada County Cannabis Alliance, said she’d hoped the county would have had its new ordinance two months ago. She now hopes it won’t be delayed past March 2019. “It’s been very disruptive to the local cannabis economy,” she said. Gamzon said she’d like workable regulations by next year’s grow season. She fears missing that mark will negatively affect not only the local cannabis industry’s economy, but the county’s economy as well. “The cannabis industry is pretty significant to our local economy,” she said. Heather Burke, a Nevada City cannabis attorney, noted that it takes an emergency ordinance for local law to become effective immediately. A regular ordinance must go through first and second readings. According to Alison Barratt-Green, county counsel, a regular ordinance becomes effective 30 days after passage. “People should know that they should be engaged in the process now and get their ducks in a row now,” Burke said. County officials began working toward a permanent ordinance after the June 2016 failure of Measure W, which would have banned outdoor grows. Supervisors that summer passed a temporary ordinance that remains in place today.